Talk at our local W. I. 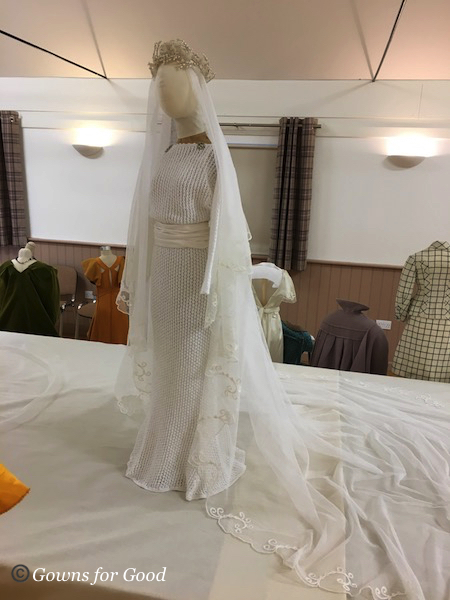 Dress on display with silk and lace slip, silk cumberband, rhinestone clips on the neckline, period embroidered veil and tiara of orange blossom. Irene was born and went to school and college in Nottinghamshire. She lived in Essex for thirty years before moving to Alderney in the Channel Islands. 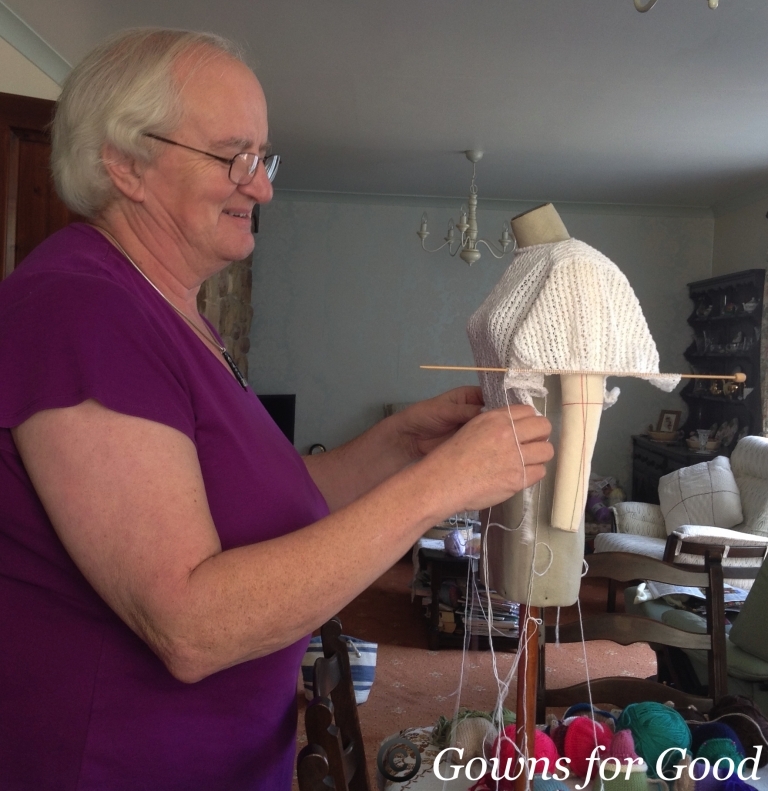 She began to knit around the age of six and has never really stopped. 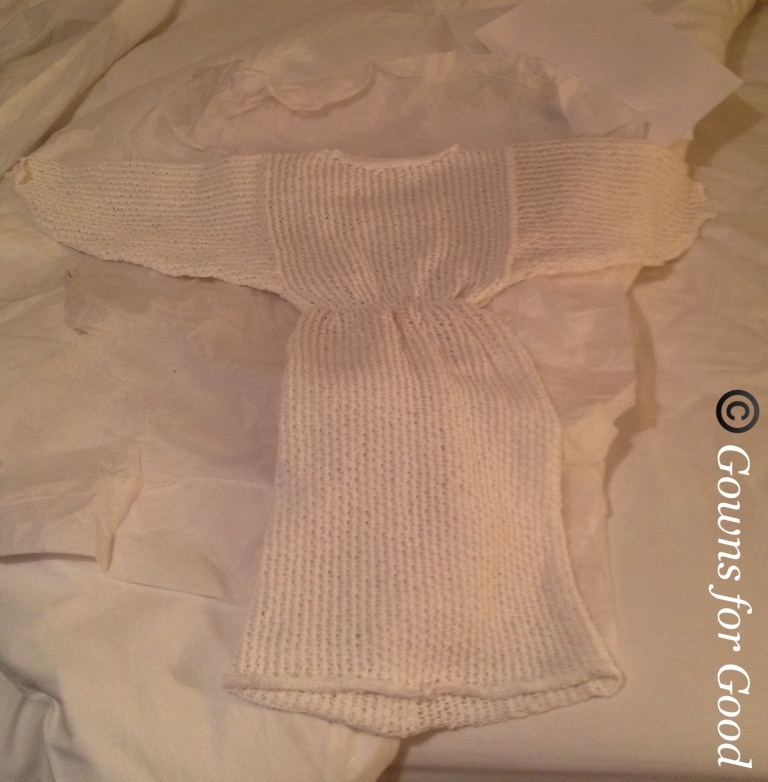 She recently discovered she is a direct descendant of a Framework Knitter of the nineteen century. She trained and gained certificates in Dressmaking and Ladies Tailoring. 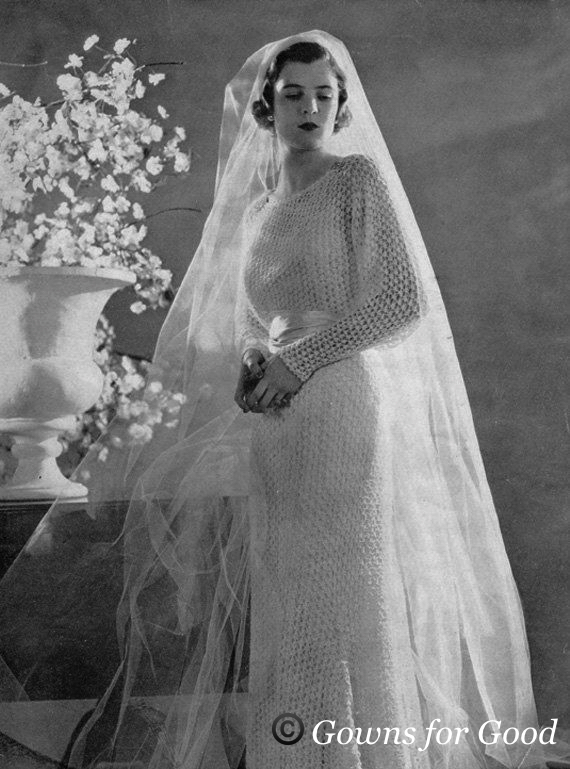 Initially Irene was a self-employed dressmaker who seemed to make an almost constant stream of evening and cocktail dresses. She teamed up with designers making up their designs which saw her being a commuter to London. 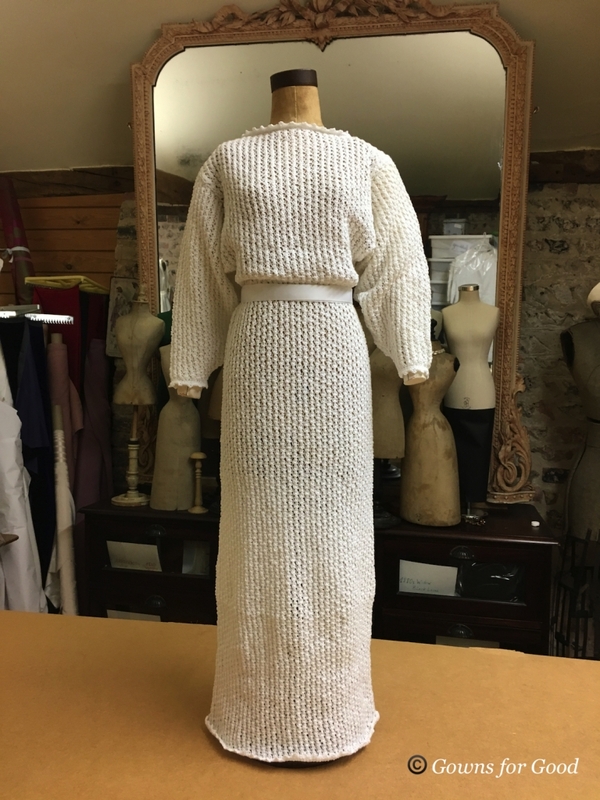 For a while she also worked with a television presenter to provide the garments and the samples at all the stages of their construction for dressmaking programmes. 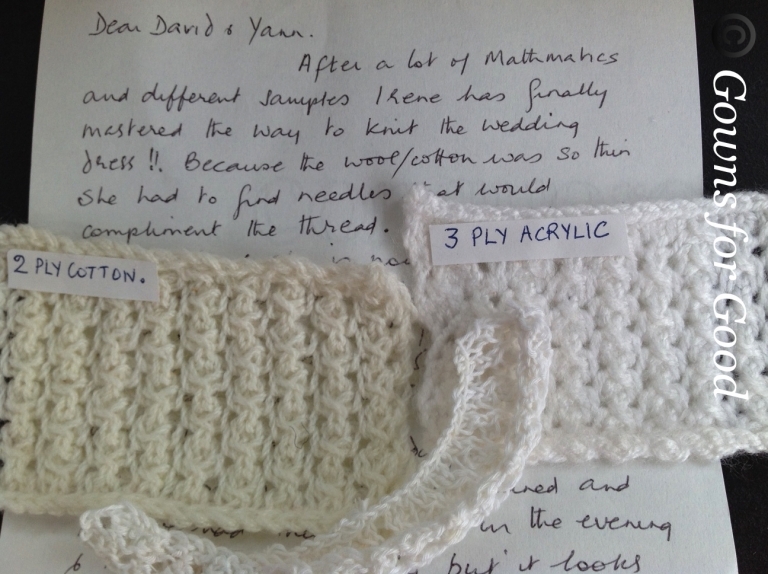 Later in life she was part of the first cohort to get the City & Guilds certificate in lacemaking. Irene’s current activities include knitting, crochet, patchwork and many styles of lacemaking and except for the occasional periods reading, if she hasn’t got some sort of needle and yarn or three in her hand, then she is sleeping!